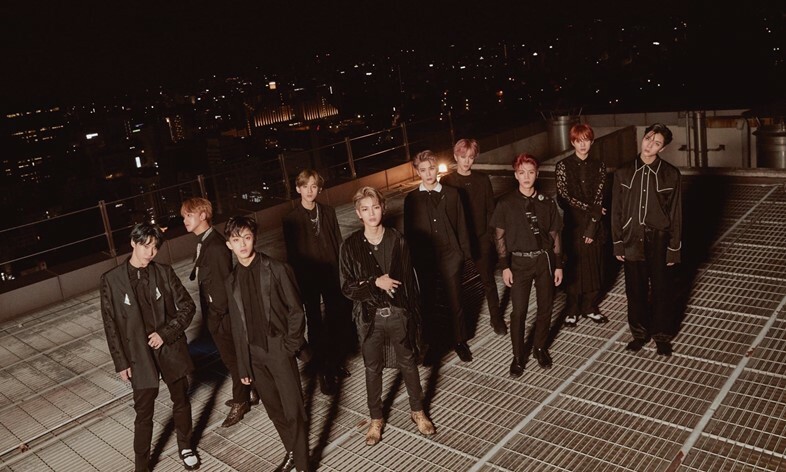 “We want to focus on spreading our music to the world,” Mark Lee, a Vancouver-born rapper who makes up one tenth of South Korean pop group NCT 127, eagerly tells Zane Lowe, “so we needed an English version of the song.” It’s mid-October, and Mark, along with the group’s other nine members, are standing opposite the Apple Music DJ in the company’s US headquarters. They’re here to give their new, Latin trap-infused single “Regular” its first play. The track is being released in English and Korean simultaneously, but with separate music videos, a rarity for a K-Pop group. It adds to the already heavy workload faced by idols, but the approach has paid off: two years and three mini-albums after their debut, NCT 127’s first full-length album, Regular-Irregular, landed at #86 on the Billboard 200, the second highest ever entry for a male K-Pop group. Not bad for a band who haven’t even held a solo show on US soil yet. 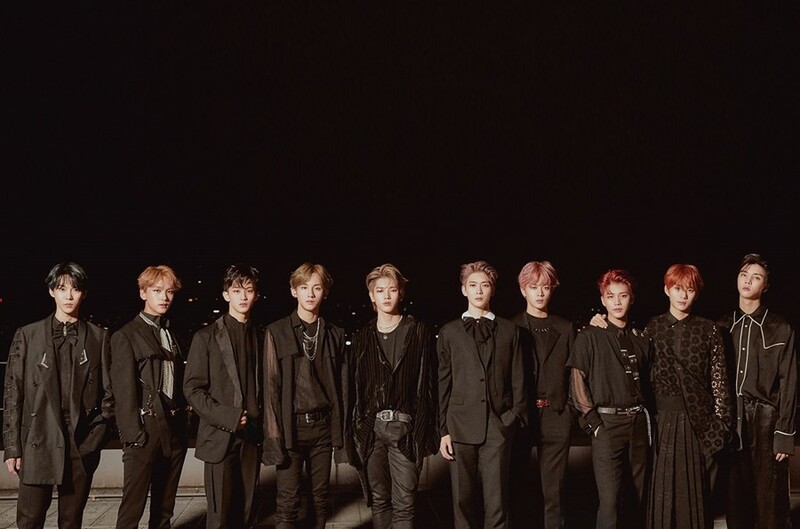 The Apple visit would be just one stop on NCT 127’s US media blitz, which saw them become the first ever K-Pop act for Apple Music’s ‘Up Next’ series, performances on Jimmy Kimmel and ABC’s Disney-led Mickey’s 90th Spectacular, treading the red carpet at the American Music Awards, and a number of TV interviews. It’s a trip that was “definitely unforgettable and exciting because we experienced a lot of firsts during it,” Mark says. NCT 127, are striking the US while the iron is hot, a heat generated by BTS, whose rise to fame and powerful fandom has sparked an industry-wide interest in K-Pop and its devoted audiences. While it has to be said that K-Pop has never legitimately failed in the USA (existing as a solid, but cyclical, niche), only BTS have won over non-K-Pop fans on a mainstream scale. The door they’ve knocked down has spurred other K-Pop companies to refocus on America, a territory they’ve historically been unable to maintain as a priority. Previously, K-pop faced almost total ambivalence from US media giants to promote their acts, and the industry has concentrated its energies, and money, on safe Asian markets instead. The opportunity is now there, but new challenges await, not least the music and media industry’s penchant for replication over innovation – something that’s already begun, with headlines either heralding or questioning other groups, including NCT 127, as “the next BTS”. Such a description does a disservice to NCT 127. The group were born from a utopian idea of creating artists and music that could specifically target different markets while remaining deeply intertwined. In February 2016, SM Entertainment’s CEO, Lee Soo-Man – the man who, in the mid-90s, helped develop the blueprint of training K-pop idols and placing them in groups, the standard practise still used today – outlined his vision for SM’s next generation of performers. He called his plan ‘New Culture Technology’, and the upcoming group ‘NCT’ (which stands for ‘Neo Culture Technology’). Idol groups, like most pop groups across the world, have fixed line-ups, but will often create a sub-unit or two, where specific members are put together into a separate, smaller group to bring out another musical angle or raise the profile of the selected artists. NCT would take the wildly ambitious step of being a group with no boundaries. NCT would be the umbrella name for the group, and under any number of teams would flourish under it. Lee’s plans began with debuting a Seoul-based group, then subsequently introduce more teams, who’d work out of global cities and regions (Tokyo, Beijing, Shanghai, and Latin America were slated to follow). Members could be added to existing teams at any time – either being taken from other existing teams in an overlapping format, or plucked anew from SM’s in-house training system. On paper, it’s complex, and the reality is even more head-spinning – and even hardened K-Pop fans have struggled to keep track of the members as they criss-cross units. The plan was rolled out in April 2016, with the seven-member NCT U, who debuted with the brilliantly eerie trap song “The 7th Sense”. In July 2016, NCT U’s members Lee Taeyong, Moon Taeil, Mark, Jaehyun (Jung Yoon Oh), and Chinese member Winwin (Dong Si Cheng), plus newcomers Haechan and Japanese member Nakamoto Yuta, would form the loud and brash NCT 127 (the ‘127’ in their name comes from Seoul’s geographical longitude), whose debut was the angular hype of “Fire Truck”. They added Doyoung (Kim Dong Young, from NCT U) and Chicago-born Johnny in late 2016, and, in September 2018, Kim Jungwoo (also NCT U). Perhaps realising the enormity of the CEO’s idea (in monetary, creative, and promotional terms), SM have changed tactics since its announcement. Another Seoul-based unit, NCT Dream – a graduation-style unit, where members leave once they turn 19 – debuted in August 2016, while this year saw all 18 NCT members perform as NCT 2018. After much delay and rumour, the Chinese unit recently confirmed debut preparations, but the Latin-American and Japanese groups have seemingly vanished. Despite the ever-swirling pool of names and members, NCT 127, as an entity, have become a steady force. They’re the busiest unit and have a striking, often gender neutral, style – from swathes of animal print and skirts to chokers and obscenely tight PVC trousers – and an easily identifiable sound, which swings through shimmering, teasing R&B (“Back 2 U”), rubbery piano house (“Summer 127”), and immaculate synth pop (“Come Back”). Their singles are anchored in tremulous bass and killer choruses, such as “Limitless”, whose trappy, sleazy sound is in direct contrast to the lyrics documenting their ambitions and desire to connect with an audience, and the chest-thumping “Cherry Bomb”, where they proclaim themselves the “biggest hit on the stage”. “Regular” has a gentler sonic impact than its sibling singles, but the two versions have an important task; sitting at opposite ends of the album, they bookmark the two-sided concept. The Korean version is upfront, its lyrics rooted in the now, balanced between aspirational and the glow of increasing success, while the English cut sits at the end, the lyrics dripping in an imagined future of diamonds and supercars. “‘Regular’ is the first ‘Latin trap’ song we’ve worked on,” says rapper Taeyong, sporting a silvery grey mullet. “The album’s exciting because we try out many different genres, from ballads to electronica. We put a lot of thought into the tracklist and order so that it reflected our reality, then our dreams. It’s a much richer and fuller album, it showcases NCT 127’s evolved sound.” Latin America has embraced K-Pop and NCT 127 is not the first group (in K-Pop or SM Entertainment) to embrace the Latin sound, but in many ways, they’re a clear distillation of NCT’s ethos – global in their reach and output, diverse in their individual backgrounds, changeable yet interconnected. At a mere 28 months old, NCT 127 have been more successful on the Korean charts with their albums rather than their singles, but their presence on the worldwide iTunes, Billboard’s Social, and World Albums charts has been consistent and it’s pushing upwards. “I’m so grateful for all the support we’ve been receiving, but we still have a lot more we want to show everyone,” Winwin points out. “Over the past two years, we’ve been lucky to experience so many things but we believe we’re still growing, and maturing, as artists,” adds Taeyong. NCT 127’s slow burn start has arguably toughened them for a bumpy road ahead. After all, the Asian market is volatile and saturated, America’s is vast and demanding, and, despite K-Pop’s advances, still squeamish of large groups. But with an already formidable arsenal of songs and multiple bilingual members, should NCT 127 get those longed-for concerts, and take them to the US alongside another charm offensive, it eventually won’t be a question of ‘if’ NCT 127 can crack America, but simply a statement of ‘when’.